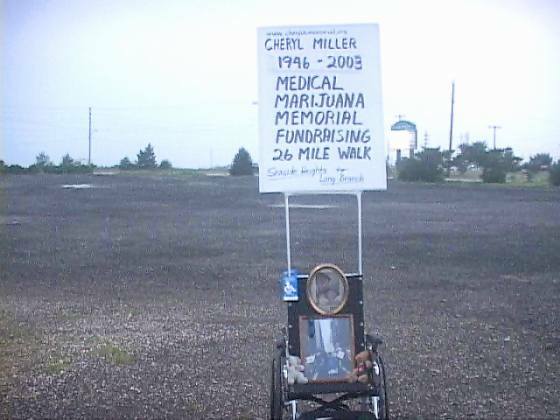 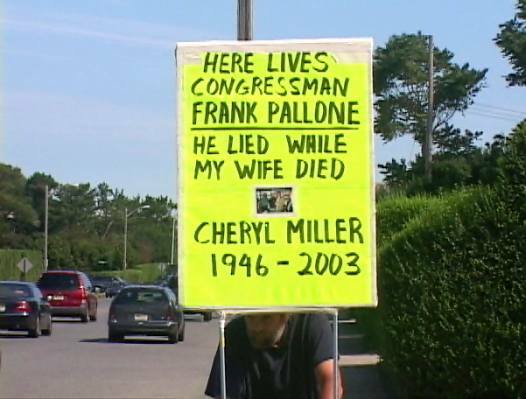 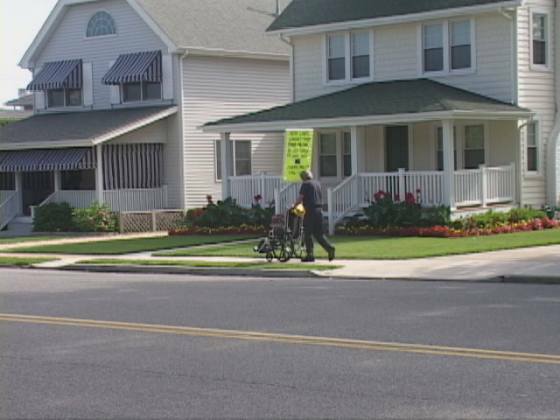 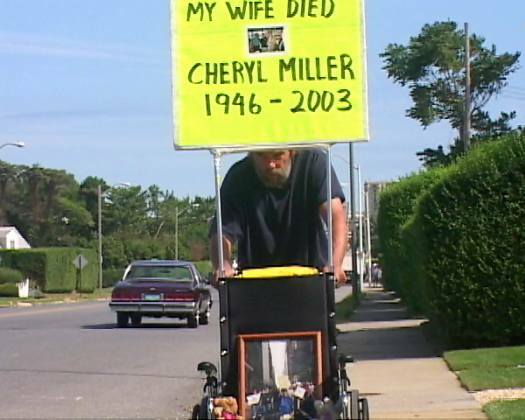 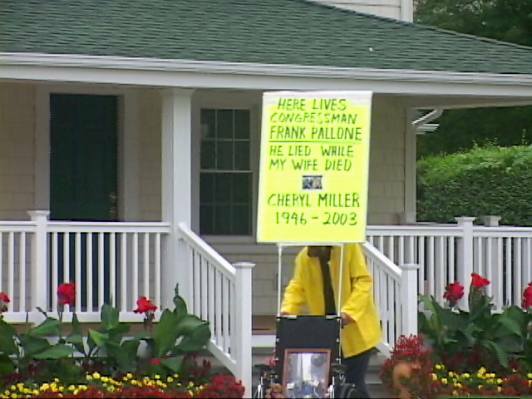 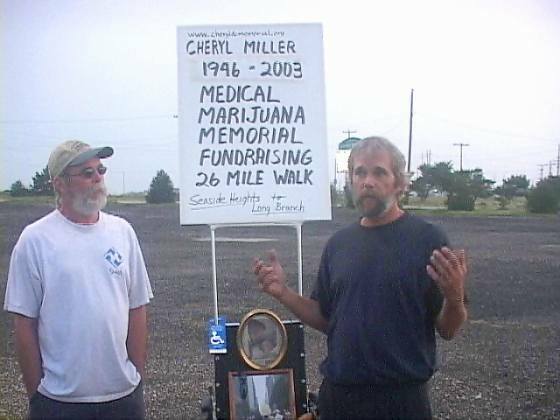 On Saturday August 30, 2003, Jim Miller pushed Cheryl's wheelchair 26 miles to Congressman Frank Pallone's home, where he proceeded to picket in front of the home well into the night and again Sunday morning, August 31. 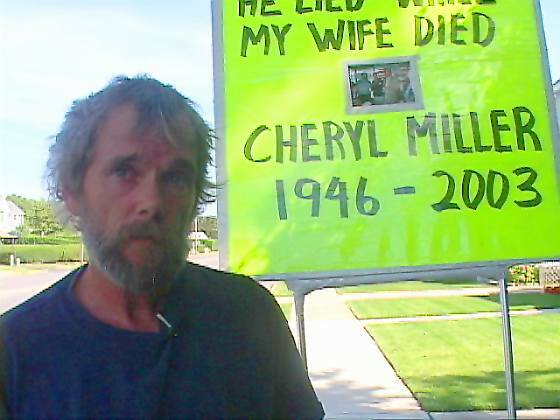 Below are some video captures taken by Pete Christopher, who also produced Cheryl's video. 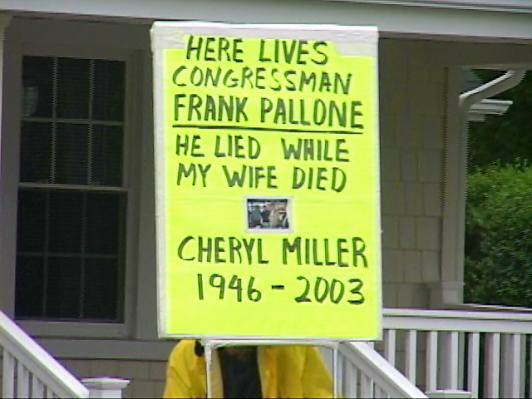 Jim Miller reports that while picketing into the night outside Rep. Pallone's home, he was eventually contacted by police, who indicated if they received another call, they might be forced to remove him. 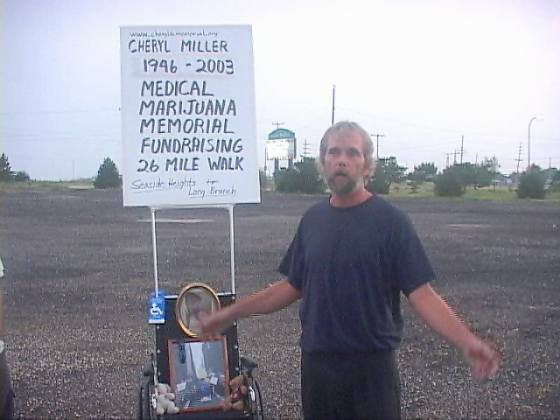 They questioned him as to why he was there, but never asked for ID or anything establishing his identity. 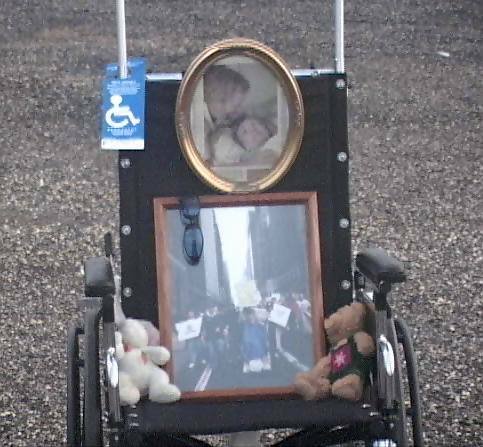 Jim instead chose to go get a few hours of rest and return at daylight so Peter Christopher of Next Play Video could tape the action. 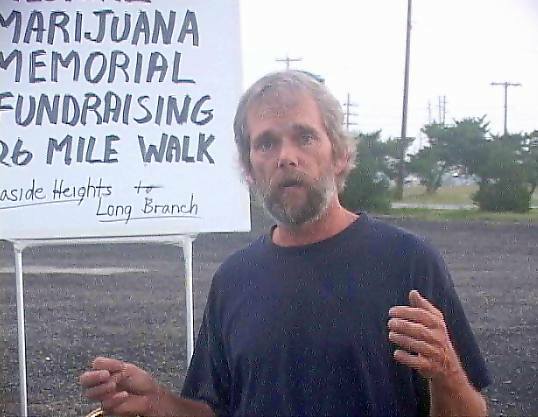 Police did not return, and Jim's picketing went on without incident.